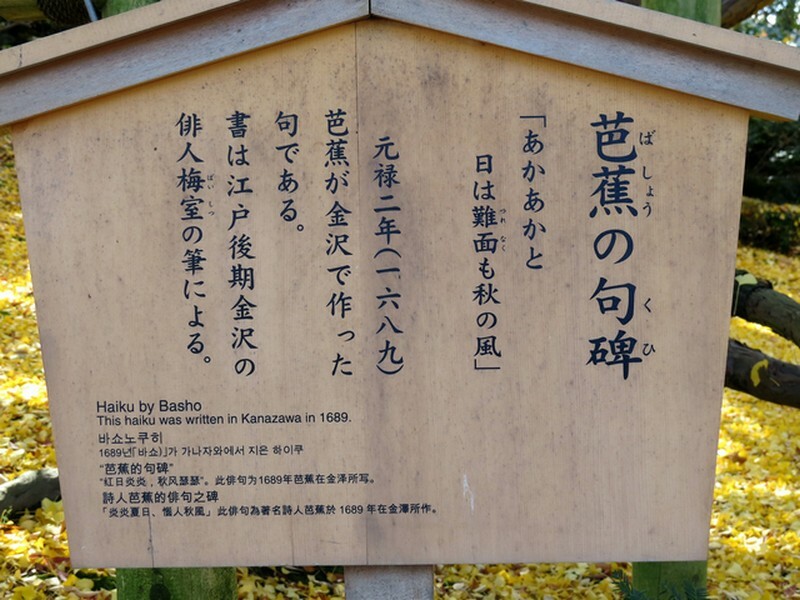 Following a tour guide around the famous Kenrokuen (literally: Combining (ken) six (roku) garden (en) – it combines the six main themes in a Chinese-style stroll garden), rated as one of Japan’s best three gardens, Haiku Husband noticed a ‘Basho Memorial’ on the map. Fujio-san was more than willing to lead us there. And here’s what we found. The haiku is from Basho’s classic travelogue Oku no hosomichi (Narrow Road to the Interior/ Narrow Road to the Deep North). Nobuyuki Yuasa provides the following version. His entire translation of Narrow Road to the Deep North may be read at the Terebess Asia Online website. The promise of early chill. As a side note, Dorothy Britton (Lady Bouchier) died in February of this year, aged 93. Her life story is fascinating. She was born in Yokohama to an English father and American mother and from the age of 13 was educated in the US and Britain, returning to Japan after the American occupation began and meeting her English husband, Sir ‘Boy’ Bouchier. 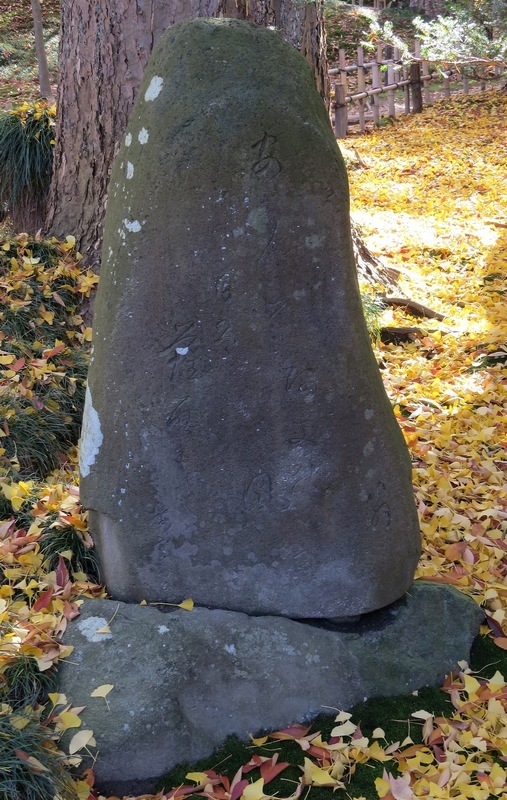 Her memoir – Rhythms, Rites and Rituals: my life in Japan in two-step and waltz time – was launched in London just a few days after her death (she had been planning to attend). “She led a life of extraordinary variety, working as a composer, musician, writer, poet, radio and television presenter, postal censor and translator. Bilingual from birth, she found the immense joy of blending in with people of different cultures, and this is the remarkable and remarkably frank story of a life lived to the full by the doyenne of British residents in Japan,” the Japan Society of the UK writes. Read more detail about her life in this obituary.